Courtesy of Laurie M Murphy, Compass Pennsylvania, LLC. 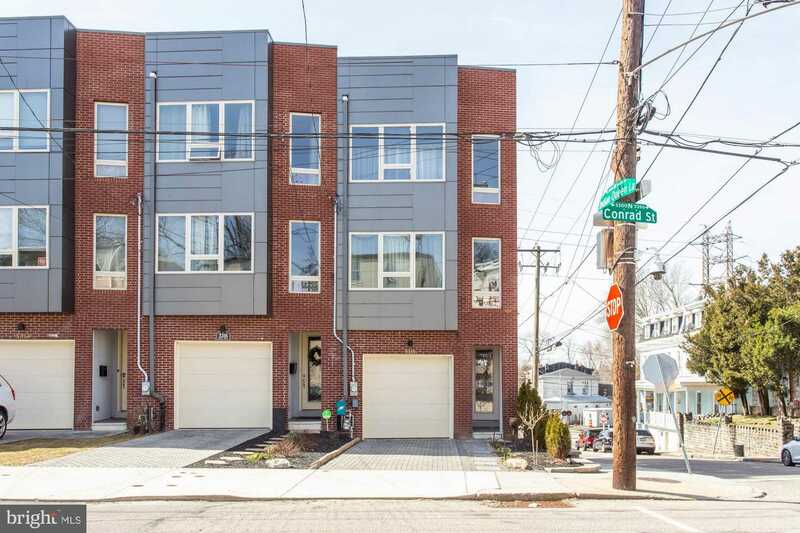 Collection of homes built in 2014, contemporary townhouses in a charming enclave of East Falls. Designed by City Architect Harman Deutsch these homes feature 3 BR’s, 3.5 BA’s in 2591 sq ft. Light and airy open concept living floor with modern kitchen with quartz counters and island, stainless steel appliances, 42 cabinets and sliding glass doors lead to deck. Spacious living room with wall of glass and high ceilings. Incredible master suite oasis with high-end hotel style bathroom with double vanity with carrara marble top, carrara marble floor and carrara marble shower. Roof top deck with green roof & incredible Center City skyline views. 1-car attached garage and 1 and driveway parking spot. Large, fenced in, grassy rear yard. 2 minute walk to train and 5 minute walk to Kelly Drive. Amazing city living with a suburb feel! Low taxes under 1K from abatement!